My, oh My! Do I have the Perfect Cheesecake for you! I love cheesecake and I’ve wanted to make a real, home made cheesecake for a long time. They seem so intimidating and I never took the plunge until now! And man, am I glad I did! 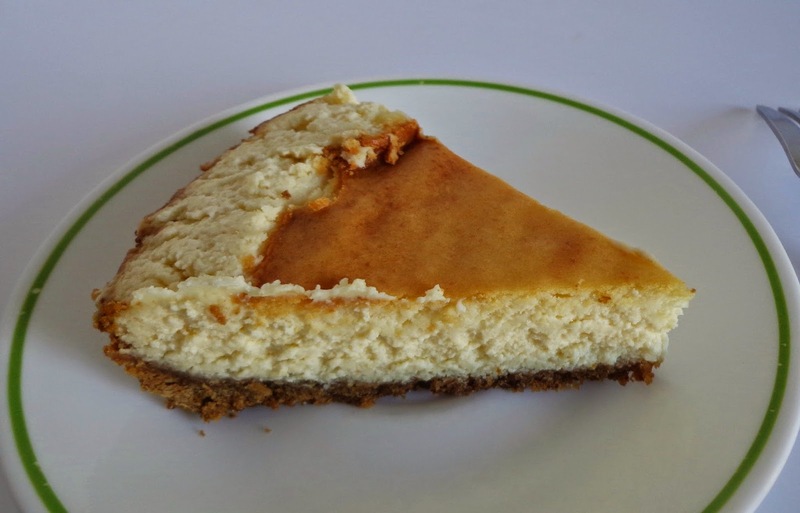 This cheesecake really couldn’t get any simpler to make and it tastes delicious. 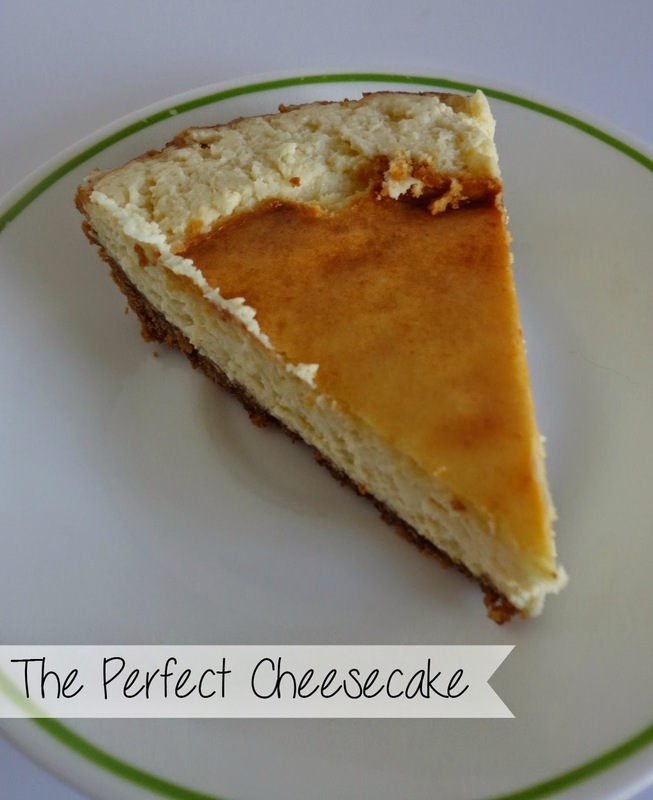 This particular recipe came from the Philadelphia cream cheese package and it’s clear why it’s the perfect cheesecake! There are so many things you could do to spruce it up too, but I just wanted my first one to be plain. Next time I’m thinking cherries, what do you think? Also, the middle sunk in a little so I cut the higher parts around the edge to even it up. You want to make one too? It’s easy! Give it a try. Mix graham cracker crumbs, butter and 1/4 cup of the sugar. Press firmly onto bottom and 2-1/2 inches up side of a spring form pan; set aside. Beat cream cheese and the remaining 1 cup sugar in large bowl until smooth and creamy. Add ricotta cheese and vanilla; mix well. Add eggs, one at a time, beating just until blended. Bake for 1 hour to 1 hour, 10 minutes or until center is almost set. Remove cheesecake from oven; cool completely. Refrigerate at least 4 hours or overnight. Loosen cheesecake from rim of pan; remove rim. Store leftover cheesecake in refrigerator. Serves 16. Looking for some other sweet treats to make? Check out this Chocolate Lasagna or these Oatmeal Cream Pies!